Teachers, parents, and students are all gearing up for the 2018-2019 school year, and while supplies are a big focus, we suggest using space to add STEAM power the new education season. As part of our “back-to-school” series, here are some of top International Space Station (ISS)-related resources to check out. From lesson plans to home activities and student competitions, there are many ways to bring the excitement of space down to Earth. Read on to learn how you can leverage the ISS National Lab for science, technology, engineering, arts, and mathematics education. Still finalizing your course work and looking for innovative ways to liven up the material? Find free, easy-to-use lesson plans on the Space Station Explorers website. Each lesson details the appropriate grade level—grouped by elementary school, middle school, high school and beyond—related study area, and time estimation, when applicable. The ExoLab on the ISS program allows students to compare plants grown in an ExoLab onboard the space station to plants grown in an ExoLab in their classroom. 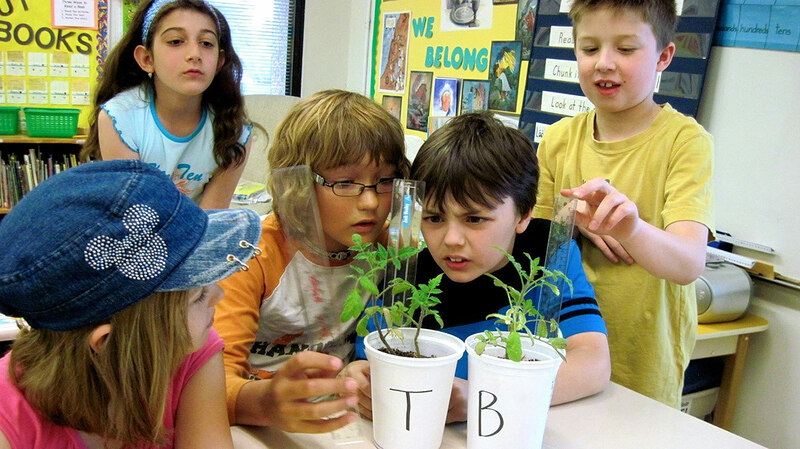 These exciting activities range from plant studies to physics and more. 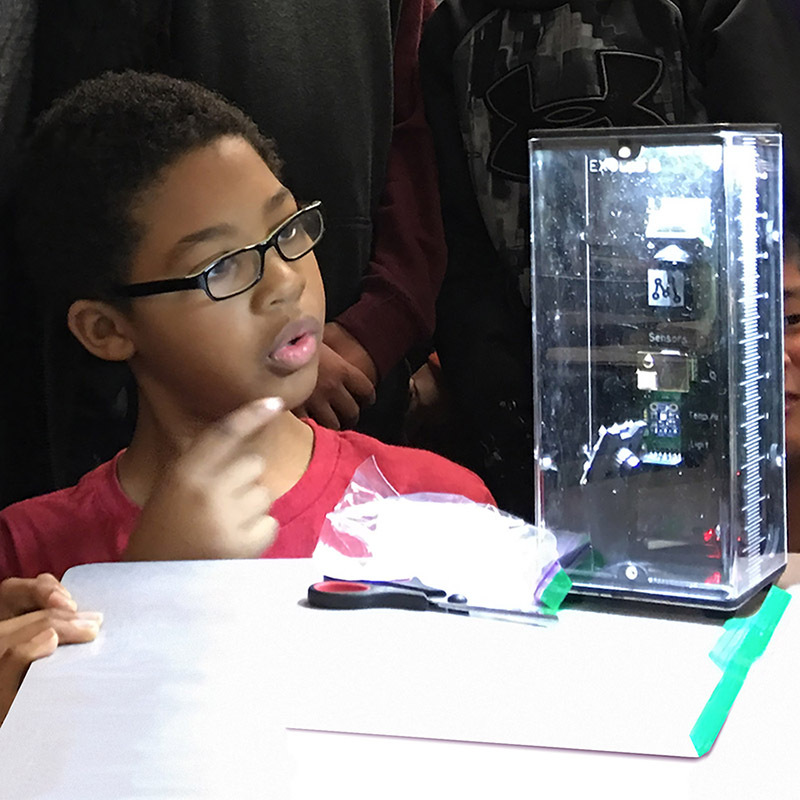 Whether you want to build ant habitats and examine insect behavior on Earth versus in microgravity or motivate the entire class to stay healthy with nutrition and physical challenges via Train Like an Astronaut, there are many opportunities to consider. The selection of disciplines includes biology, physics, chemistry, art, technology, and more! Based on real microgravity research done onboard the space station, the more than 20 plans also have images, videos, and related stories to inspire and educate your students. For other space-related lesson options, visit Discovery Education, BioEd Online, and the National Science Foundation Astronomy and Space Classroom Resources site. Also be sure to check out the NASA For Educators site, from which you can sign up for weekly emails to stay up-to-date on ISS-related education news, as well as grade-specific opportunities and resources. To add a global perspective, keep up with our international partners by visiting the European Space Agency (ESA) Space for Education or the Canadian Space Agency (CSA) Inspiring Resources for Young People sites. 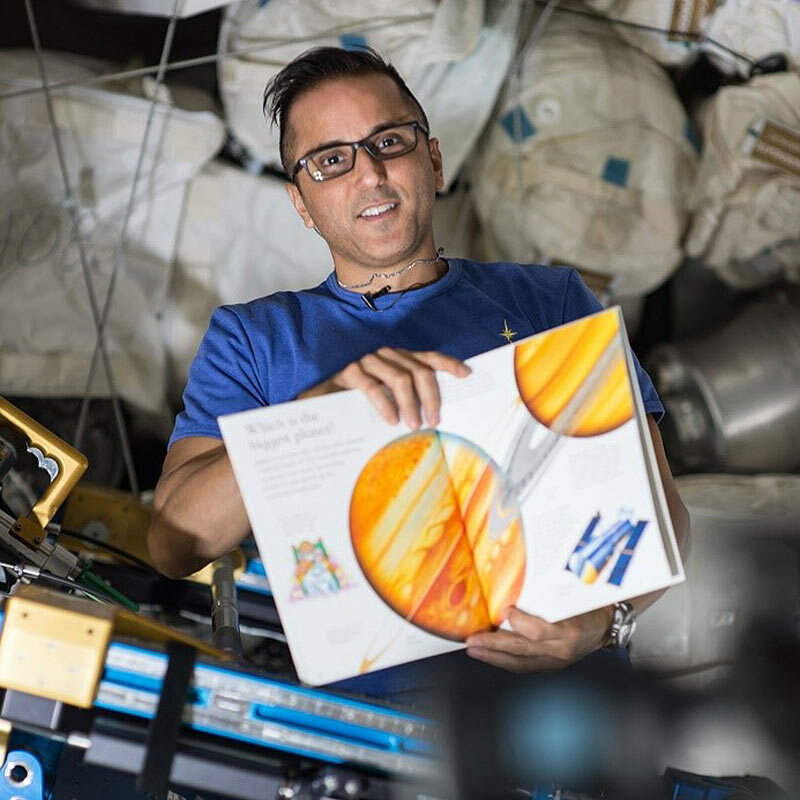 Flight Engineer Joe Acaba holds a children's book that he is reading from as part of the Story Time From Space program. Astronauts read aloud from a STEM-related children's book while being videotaped and demonstrate simple science concepts and experiments onboard the ISS. Looking for something to supplement the school year and keep your children engaged? You can use some of the amazing things happening onboard the space station at home to underscore what your children are learning in class. Visit the Space Station Explorers Educational Programs page, where you can find activities to share with the educators in your child’s life, as well as options to explore at home. For younger children, inspire them early through Story Time from Space with a book read aloud from an astronaut while onboard the space station. Or join the NASA Kids’ Club, where pre-K through fourth graders can play STEM-related games, see some of NASA’s coolest images, download an activity book, meet the current crew of the space station, and more. Looking for a full-family option? Take the whole clan outside to Spot the Station as it flies over your home. This offers a great chance to talk about the people living and working in orbit every day. Continue the lesson when you go back inside by checking Windows on Earth to see images taken from orbit of locations around the world, including your own area. These are just a few of the many levels of participation for the family to share in, so find what inspires you and start having fun with a focus on learning! Make sure to tell your teachers and parents about the great resources mentioned above to bring space into your home and classrooms. 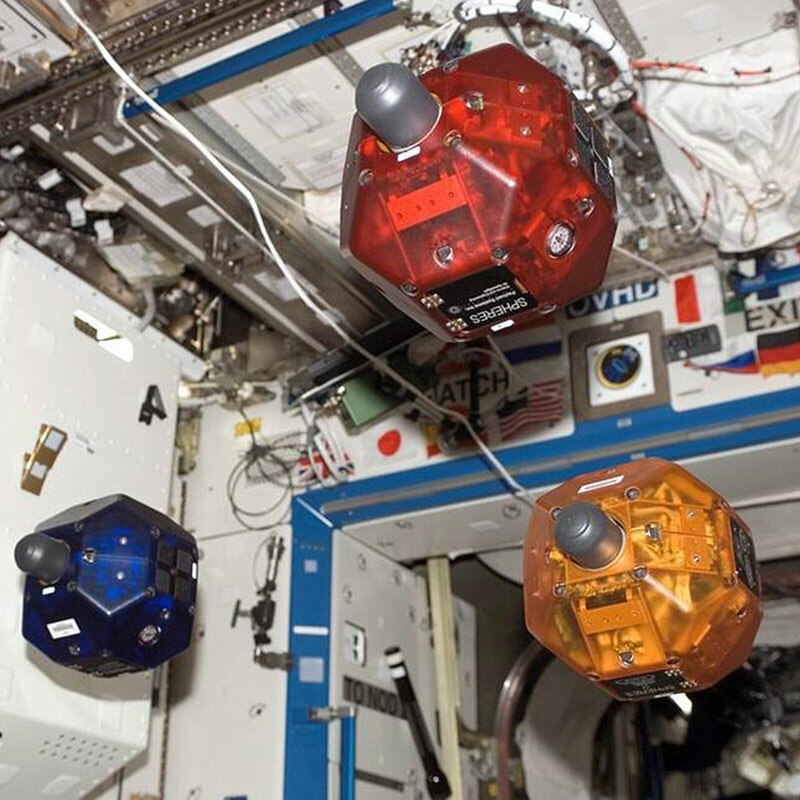 Three in-orbit SPHERES satellites fly in formation through the ISS, programmed by students as part of the Zero Robotics program. You can also find your own interests to pursue on the NASA for Students site. From sending your own experiments into orbit to going head-to-head with other students by coding robots for a microgravity race in space, there is plenty to do and learn with the space station. You can even use ham radio to talk live with the crew in orbit or seek out internship opportunities to work toward a career in aeronautics. Specifically for girls interested in STEM, keep an eye on SciGirl in Space, a Twin City PBS and CASIS program that will be released in late 2018. This initiative will include videos and lessons geared specifically toward girls in STEM. Also visit the related site for games, profiles of female scientists, and more. Be sure to follow ISS360 and Upward, the official magazine of the ISS National Lab, to learn more about what’s happening on our nation’s orbiting laboratory, including the latest on ISS-related education initiatives and using the space station to bring STEAM-focused disciplines to life at home, in the classroom, and beyond!